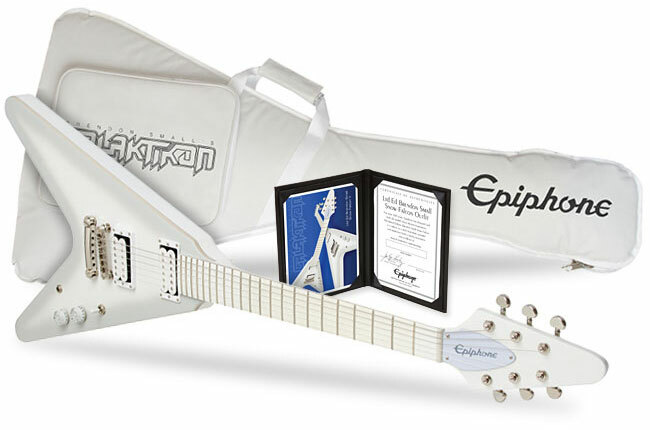 Posted: Sun Dec 04, 2016 3:02 am Post subject: Win an Epiphone Dethklok Snow Falcon Flying V ! 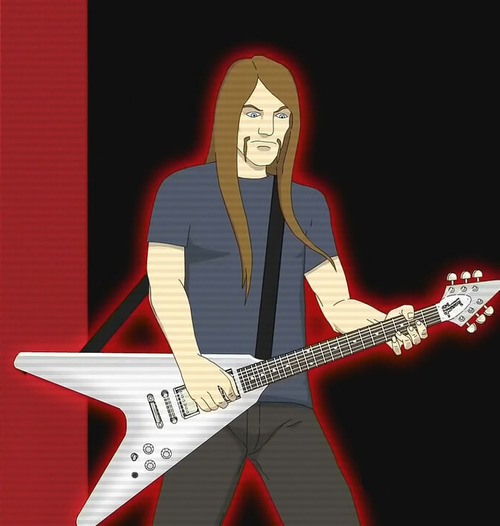 Epiphone Brendon Small Snow Falcon: Enter the white bird of Dethklok! Can't say I know a lot about his bands, but that looks cool. I can't wait until people start modding the controls to look exactly like Toki's. I thought Mike's/Bacchus Paul's/Doogs was white and cost a lot less. I'm guessing little black dots on the side of the neck. 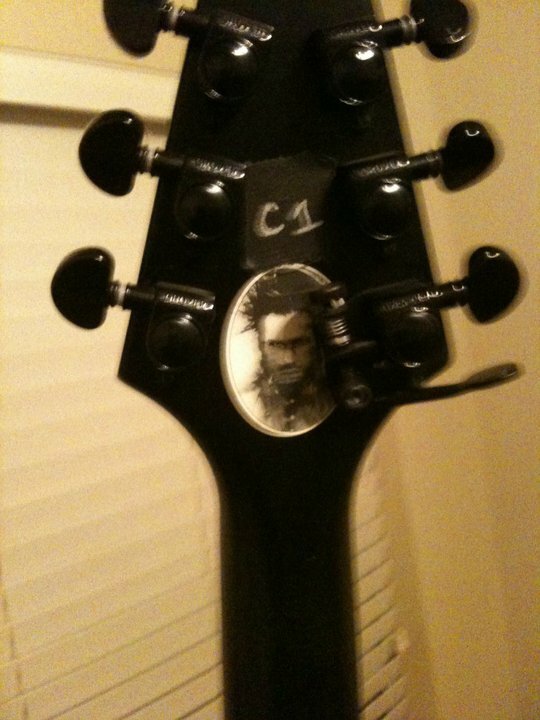 Black crow inlays on the fretboard as a contrast to PRS MoP flying birds would be my choice. 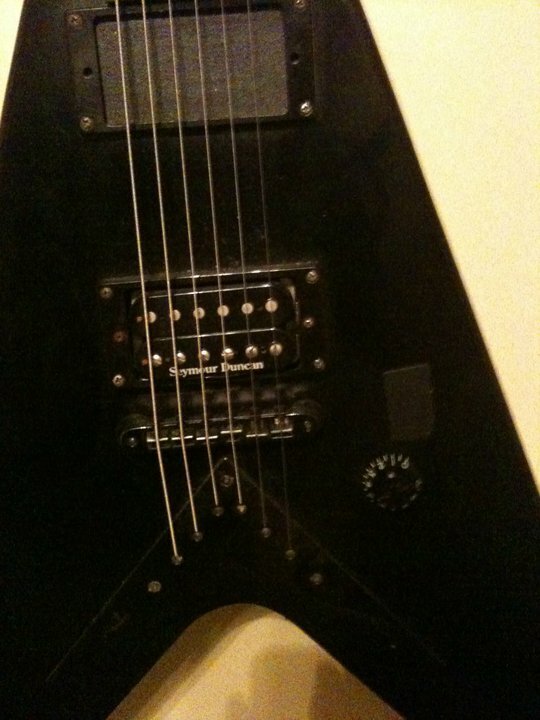 mine is this one.. the one he's playing in the video.. i wonder if it gained value since he passed away.. i still have the strings on it from when he had it but one broke.. it has a hipshot on the low e string and had C1 taped on it.. there were 3 prototypes that went back and forth between epiphone and wayne's tech.. they would send it with 2 pickups and his tech would change the pickup for the seymour duncan one since duncan sponsored him and then send it back to epi and then it came back and he had his tech take the tone knob off all the way and tape over it and sent it back etc.. i still have the tape on it and everything. Win a new Ltd. Ed. 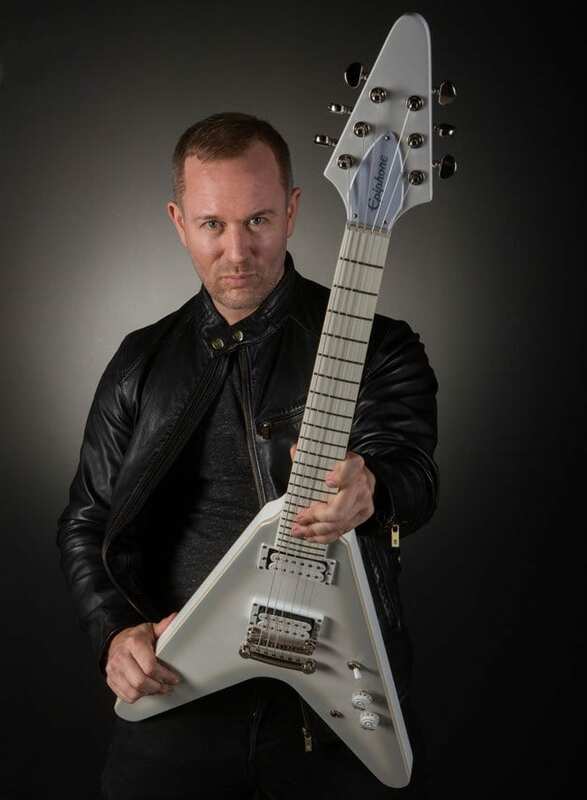 Brendon Small �Snow Falcon� Outfit! Not gonna lie, I miss that show. Scratch that, I miss a majority of older adult swim shows. AHAHAHAHAHAHA oh god that legit made me spit water out of my mouth. "make it sound like an old ladies cat, *guitar* Meeeoooowww"
"make it tell a joke"